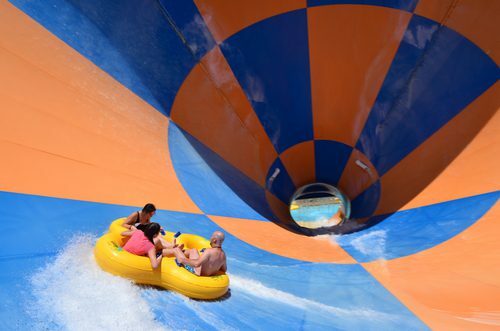 Wet ‘n’ Wild Las Vegas Water Park offers a variety of mouth-watering delicacies. Oasis café is an impeccable place to grab a bite. The well-cooked meals will help you refuel for more action and adventure that awaits at the water park. You will quench your thirst with a variety of Pepsi fountain beverages that decorates your dining tables. can hold your place in line without standing there. Xpress Brands permit guests to “virtually” rather than physically wait in line for the rides. Xpress Band users choose their preferred ride from kiosks around the park and are alerted on their wristbands of the wait time and when to arrive at the slide. There is a separate entrance and the band is then scanned for validation. There are Two options when buying Xpress Bands which you can purchase at the Park’s Rental Counter inside the water park. When the park is open, you can click here for tickets. The park offers over thirty cabanas ideal for guests looking for means of beating the heat. The cabana has a table and some four chairs. It also has two lounge chairs and a cabana host. The cabanas are obtainable near the children’s areas of Paradise Falls and Kiddie Cove, and close to Red Rock Bay. You can book these reservations via calling 702-979-1600. You may also email info@wetnwildlasvegas.com. The bookings are made by first come, first served. 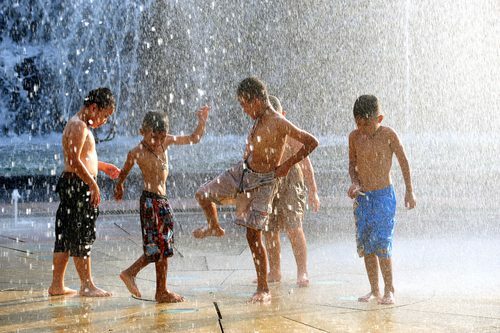 Wet ‘n’ Wild Water Park is conscious of summer months that is characterized by monsoons. That is why they are braced with tips to assist you to weather the storm. There is close monitoring of the weather conditions to safeguard the interest of the members. For this reason, ride operations are suspended in the event of inclement weather. During these times, the park asks guests to evacuate ride tours and pools and try to find shelter. Great Day Tickets are issued after 90 minutes of ride deferral until the ride revives. Guests exchange their single day ticket before being offered a great day ticket. There exist two self-parking options, that is, premium and standard. Gold and VIP pass holders enjoy free parking while other guests pay 8$ per day. Guests have a choice of paying one fee for standard parking all day. Special premium parking spaces are offered at $20 as they offer a more convenient parking which happens to be close to the park entrance. The parking lots come in two-fold. One of them is located close to the Parks main entrance while the other one is located at a walking distance on the northern side of the park. Wet n wild offers a variety of services and facilities for the guests. There are shower facilities that suit different genders. There are also changing facilities that aid the persons in the interest of showering. There is no worry to the family that visits the place since there are also family restrooms near the central facility. 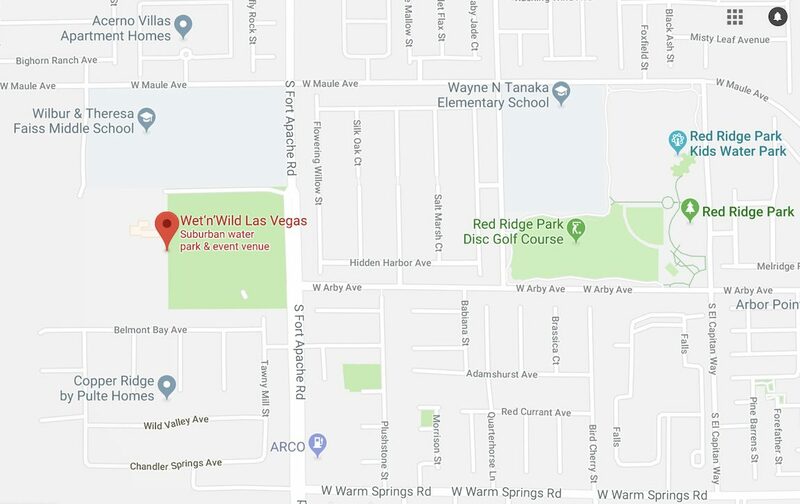 Wet ‘n’ Wild is situated in Summerlin at 7055 South Fort Apache Road in Las Vegas, NV 89148. The place is a twenty-minute’ drive from iconic Las Vegas Strip. It seems that this park has all you need during your group’s day out. Christmas Town is an awesome place to be during holidays. The joy that comes alongside visiting this place is unmatched. There are special services offered at each corner that suits each group. More to smile about is the cut costs in which the services are provided from the cafes to the pools. Overall, your wallet will enjoy the packages as you have great memorable moments in the park.